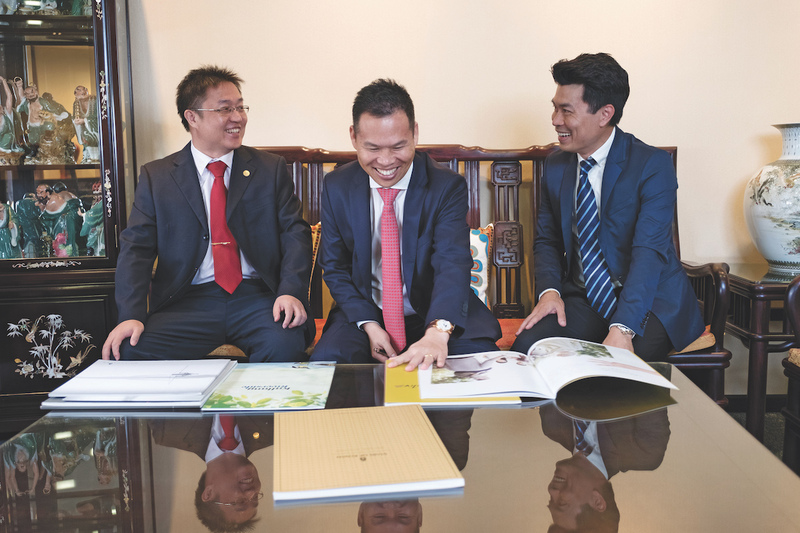 It’s unmistakeable that Loi Teck Han, the general manager of Rich-Link Construction, likes quality time to think about things. Describing himself as naturally observant of his surroundings, his retrospection has yielded results for his company. 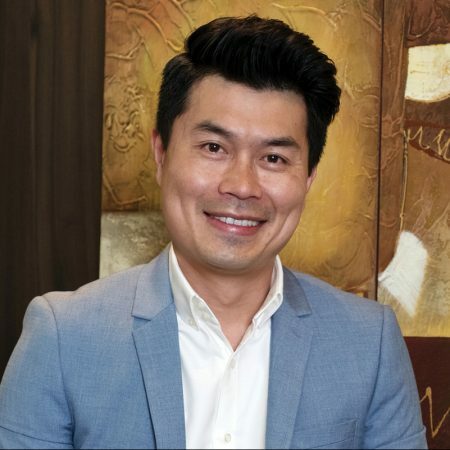 Frustrated with an out-of-date Singaporean method of running his construction company, Loi spent a lot of time scrutinising similar companies overseas in Korea, France and Japan where the operational style could be described as more Western. His study found overseas companies’ management systems far superior to Singapore’s. So, to stand out and to achieve the highest level of productivity and efficiency for himself, he matched them. “Not because I wanted to do the same as them, but because I wanted to do something better,” he quips. Rich-Link Construction was incorporated in May 2004. The business began in structural subcontract work and has expanded into main contractor dealings to work on construction products and services, as well as property development and management in Singapore. Operating for 10 years, the company’s motto is: ‘We plan, we commit, we deliver’. Loi was resolute about the change he wanted to orchestrate within the company upon being appointed general manager. His radical approach was a direct response to what he felt were archaic work paradigms in Singapore, where skilled workers traditionally rose through the ranks from the bottom to the top. “60% of people learn on the job and about 40% are educated graduates with an academic background – whereas in the past, you got a job because you were the best fit and had a willingness to work.” Keen to eradicate these old models, Loi started to engage people with formal qualifications. He began employing younger, educated people who were better suited to the rigorous demands of the building industry. This is one of our differentiating points in the market: our stronghold of professionally trained, well-educated young people. Compared to other Singaporean companies in the industry, Loi’s management tactics are progressive. He has tackled the area of project management with gusto. Loi notes that relying on a project manager’s capability alone is a big gamble. He therefore implemented management systems in Rich-Link Construction where there was a certain standard for everybody to follow. Lack of communication is another frequent problem for construction companies, so Loi generated very clear end dates and made it obvious from the start what performance levels he expected from his team. By holding monthly management meetings, Loi integrates and communicates with all workers and supervisors. He asks each department within the company to share their challenges and successes, which works to bring the team together as one unified operation. Entrenched in the older generation of Asian people is a belief that if you’re hardworking like a buffalo or a workhorse, you’ll get what you want. It’s an adage that Loi believes doesn’t resonate in today’s environment, mainly due to the advent of digital technologies. Good communication influences the rest of the workflow. It helps you manage your capabilities as well as your team. With 80% of its projects in the private residential sector, Rich-Link Construction also handles the challenges of large and complicated condominium projects. With his game-changing views and management model, Loi says that the company can now “easily handle 10 to 15 projects without much effort, because everything has been synchronised”. He admits it’s tough when local governments are often issuing new construction compliance codes. “Construction in Singapore isn’t the same as it was 10 years ago. People still believe that construction contractors never went to school, whereas they actually need to be very informed,” he comments. He shares that he gets his best ideas when driving and that he enjoys reading “articles that provoke me, because even I need a lot of motivation to continue. I believe that if I don’t think outside the box, nothing fantastic will come.” He’s persistent with his vision for the business and adds that, to him, things don’t happen by chance – he’s keen to erode the Chinese belief in luck and fate.